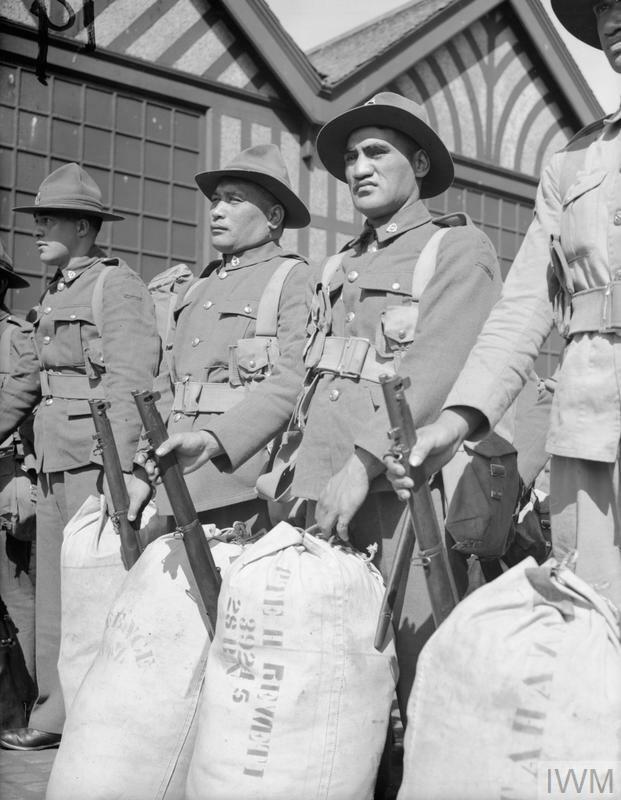 Pte Henare Reweti, from Reparoa. He is photographed on a sunny Scottish day, on arrival in Gourock, 17 June 1940, after the long journey from Aotearoa. After training in England for several months the 28 Battalion was then deployed to the Middle East. His kit bag is stamped with his serial number, 39245. Pte Reweti died in Crete in May 1941. Haere, haere, haere.